Over time, the company picnic has become a favorite tradition in the corporate world. When successful, a company picnic will include planned activities that help bring employees together and strengthen the existing team bond. This event can be held for an entire company or focus on a single department. To ensure your company picnic goes well, there are several steps that must be taken in the planning process. It is important to keep information on all contracts you have gathered for the event. Follow these steps to plan the perfect company picnic. 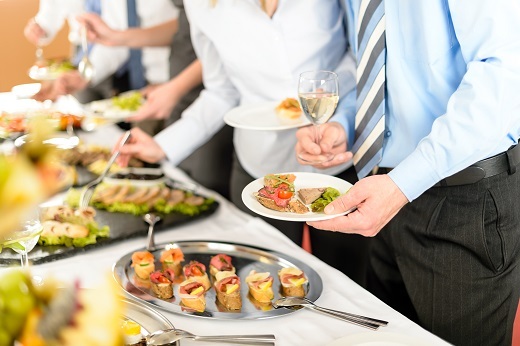 Depending on how many people are going to be invited, your budget may vary widely due to space and food needs. It is not uncommon for vendors to assist with smaller budgets to sponsor part of the company picnic. This can not only strengthen employee relationships but build business-to-business relationships as well. While many company picnics are held outdoors, recent trends have moved towards having the event within a venue. This can help avoid potential weather problems and create a unique atmosphere for your attendees. Stokely Event Center has plenty of room to facilitate your activities in a comfortable atmosphere. If the company will be providing the full menu for the picnic, this is a great time to reach out to attendees to see what they would like. However, many companies have a pot-luck and allow employees to bring their own dish to share during the company picnic. Regardless of what you choose, sort it out before the event happens. Though the company picnic is used to help employees relax, it is also a great time to focus on team building exercises. Create an activity plan conducive to your expected outcome. This can ensure that while employees are having fun, they are gaining much more out of it.